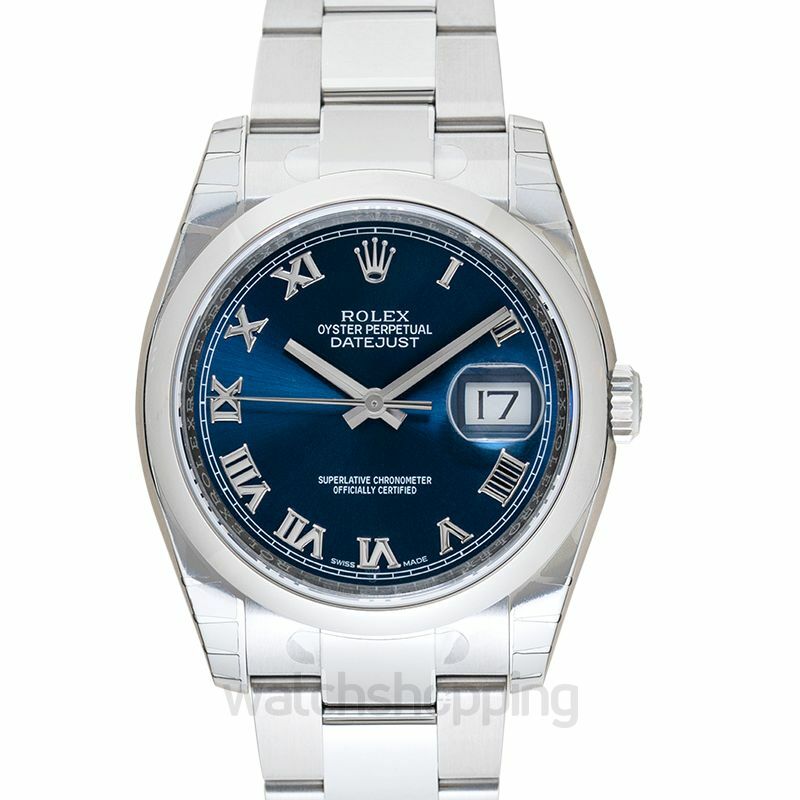 The Rolex 116200-0060 comes with a blue dial with stainless steel domed appearance. The watch incorporates the much needed datejust 36 feature. The elegance of the design falls on the placement and color of Roman numerals. Durable design from oyster-steel is made even better with the body of sapphire crystals. The watch has a promising caliber and Parachrom hairspring that resists unnecessary changes. This high-precision design also features a chronometer.